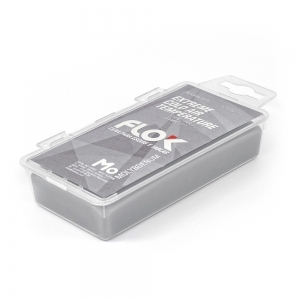 FLOK WAX – UNIVERSALBasic composition that guarantees good performance between a wide range of air temperatures from 15°C (59°F) to -15°C (5°F). Lubricates and protects against abrasion by snow. 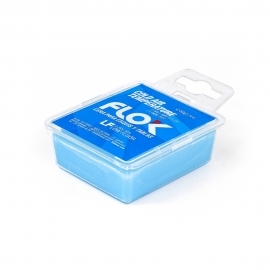 FLOK WAX – UNIVERSAL XLBasic composition that guarantees good performance between a wide range of air temperatures from 15°C (59°F) to -15°C (5°F). Lubricates and protects against abrasion by snow. 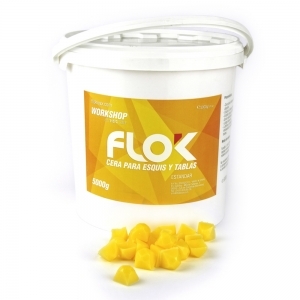 FLOK WAX – UNIVERSAL WORKSHOPBasic composition that guarantees good performance between a wide range of air temperatures from 15°C (59°F) to -15°C (5°F). Lubricates and protects against abrasion by snow. 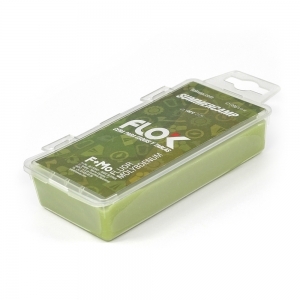 FLOK WAX – UNIVERSAL ECOLOGICEcologic composition 100% natural that guarantees really good benefits between a wide range of air temperatures from 15°C (59°F) to -10°C (14°F). Lubricates and protects from snow abrasion providing a fast and easy sliding. 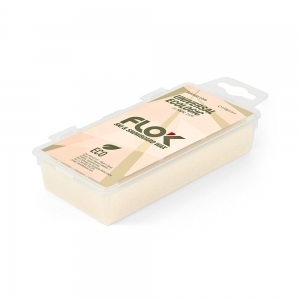 FLOK WAX – WARM AIR TEMPERATUREExcellent composition for warm air temperatures between 14°C (57°F) to 2°C (36°F). Lubricates and protects against abrasion by snow providing quick and agile sliding. 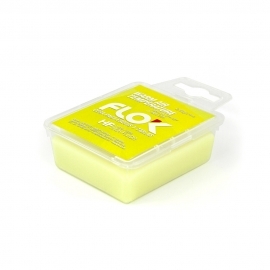 FLOK WAX – MEDIUM AIR TEMPERATUREExcellent composition for intermediate air temperatures between 4°C (39°F) to -8°C (18°F). Lubricates and protects against abrasion by snow providing quick and agile sliding. 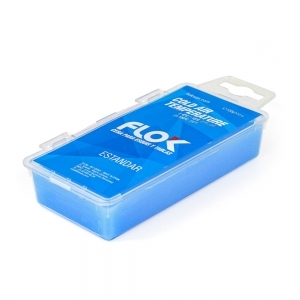 FLOK WAX – COLD AIR TEMPERATUREExcellent composition for cold air temperatures between -6°C (21°F) to -18°C (0°F). Lubricates and protects against abrasion by snow providing quick and agile sliding. 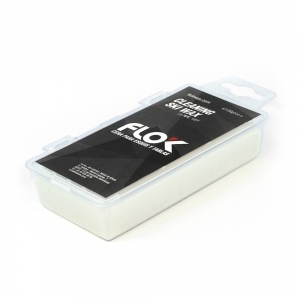 FLOK WAX – WARM AIR TEMPERATURE LOW FLUORExcellent composition for warm air temperatures between 14°C (57°F) to 2°C (36°F) and slightly wet snow with humidity from 25% to 50%. Lubricates and protects against abrasion by snow, evacuating the excess of water and reducing the friction through the hydrophobic effect of fluoride, providing a top quality acceleration and sliding. 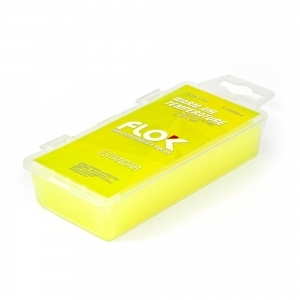 FLOK WAX – MEDIUM AIR TEMPERATURE LOW FLUORExcellent composition for intermediate air temperatures between 4°C (39°F) to -8°C (18°F) and slightly wet snow with humidity from 25% to 50%. Lubricates and protects against abrasion by snow, evacuating the excess of water and reducing the friction through the hydrophobic effect of fluoride, providing a top quality acceleration and sliding. FLOK WAX – COLD AIR TEMPERATURE LOW FLUORExcellent composition for cold air temperatures between -6°C (21°F) to -18°C (0°F) and slightly wet snow with humidity from 25% to 50%. Lubricates and protects against abrasion by snow, evacuating the excess of water and reducing the friction through the hydrophobic effect of fluoride, providing a top quality acceleration and sliding. 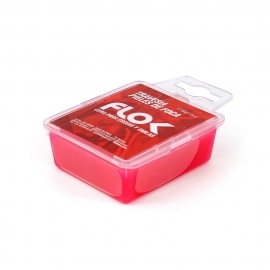 FLOK WAX – WARM AIR TEMPERATURE HIGH FLUORExcellent composition for warm air temperatures between 14°C (57°F) to 2°C (36°F) and wet snow with humidity from 50% to 100%. Lubricates and protects against abrasion by snow, evacuating the excess of water and reducing the friction through the hydrophobic effect of fluoride, providing a top quality acceleration and sliding. FLOK WAX – MEDIUM AIR TEMPERATURE HIGH FLUORExcellent composition for intermediate air temperatures between 4°C (39°F) to -8°C (18°F) and wet snow with humidity from 50% to 100%. Lubricates and protects against abrasion by snow, evacuating the excess of water and reducing the friction through the hydrophobic effect of fluoride, providing a top quality acceleration and sliding. 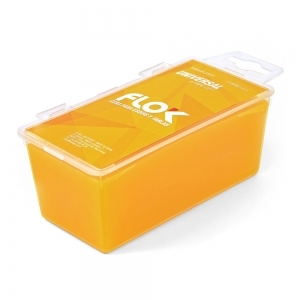 FLOK WAX – COLD AIR TEMPERATURE HIGH FLUORExcellent composition for cold air temperatures between -6°C (21°F) to -18°C (0°F) and wet snow with humidity from 50% to 100%. Lubricates and protects against abrasion by snow, evacuating the excess of water and reducing the friction through the hydrophobic effect of fluoride, providing a top quality acceleration and sliding. 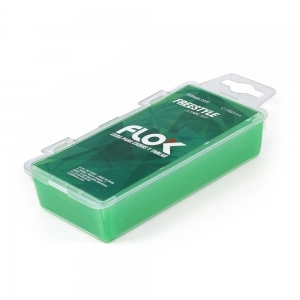 FLOK WAX – FREESTYLEIndicated for freestyle practicing. 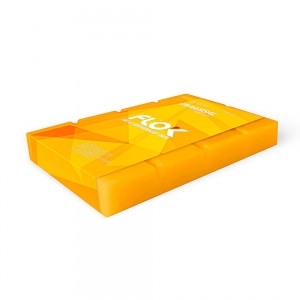 Elastic and resistant composite to reduce wear of the bases in the modules between a wide range of air temperatures from 12°C (54°F) to -10°C (14°F). Lubricates and protects against abrasion by snow, providing quick and agile sliding. 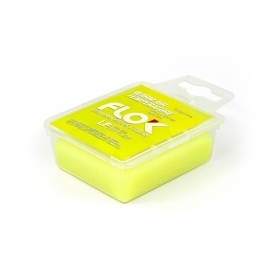 FLOK WAX – FREERIDEIndicated for different terrain conditions and different kind of snows. Resistant composite with the adequate hardness to withstand snow and rough terrain while maintaining optimum levels of effectiveness between a wide range of air temperatures from 8°C (46°F) to -15°C (5°F). Lubricates and protects against abrasion by snow, providing quick and agile sliding. 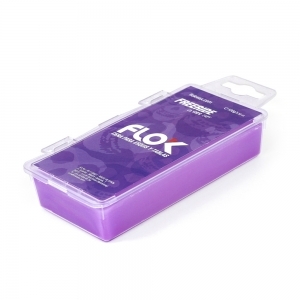 FLOK WAX – EXTREME COLD AIR TEMPERATUREExcellent composition for extremely cold air temperatures between -16°C (3°F) to -24°C (-11°F). Lubricates and protects against abrasion by snow, reducing adhesion and sliding friction due to the additional effect of molybdenum, providing top quality acceleration and sliding. FLOK WAX – SUMMERCAMPIndicated for very transformed and wet late spring snows and glaciers in summer. Compound with antistatic and dirt repellent. Lubricates and protects against abrasion by snow, evacuating the excess of water and providing top acceleration and sliding, because the effects of fluoride and molybdenum. FLOK WAX – SEALSKIN CROSSCOUNTRYIndicated for all types of sealskin, preventing adhesion and accumulation of snow on the bases. Direct use cold or hot pressing. Lubricates and protects providing agility of movement. FLOK WAX – CLEANINGExcellent composition to clean the cavities of the base improving the appliance of new waxes. Essential for a perfect cleaning and future waxing. 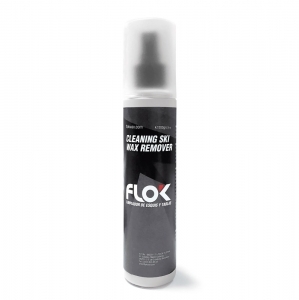 FLOK – CLEANINGExcellent liquid composition to clean the old wax remains on the base. Essential for perfect sole cleaning and pre-waxing. Leave a message and we will answer as soon as possible.